If you tune into today’s news cycle, you will undoubtedly be confused. The barrage of cynicism makes you believe we are living in a dangerous, unforgiving time. Mass shootings, civil wars, nuclear arms races – these topics dominate the headlines. However, one must be in tune with historical events to understand the proper context of the present day. Today is the safest period in human history. The current generation is offended at everything, from Kermit the Frog’s new girlfriend, to mainstream terms such as “micro aggressions” and “trigger warnings”. You would swear it is a horrible time to be alive. With some prodding on Wikipedia, you will discover the history is littered with conflict, famine, chronic suffering, and mass death. Warfare dominated the ancient landscape; a thirst for expansion, religious conquest, and bloodshed. If you lived at any point 200+ years, you would most likely find yourself in a bloody hand to hand battle, cold steel in hand, a violent death all but assured. One doesn’t even need to look that far back. World War II, just 70 years ago, saw upwards of 60 million deaths in 6 years. Falsities dominate the minds of the majority. Today, most people go from bed, to chair, to couch and call it a day. We are bred for video games and reality TV. As of 2009, 75% of young men are unfit for military service in America, a direct reflection of our fractured masculine culture. Suffice it to say, we have it “made” compared to out historical contemporaries. Being a history buff, I have a strong appreciation for the past, especially ancient history. It’s a passion of mine. I appreciate what I have been given because I understand that the human life has meant very little throughout our history. To think that warfare for thousands of year consisted of hand-to-hand brutal conflict still amazes me. Young men have been bred for warfare since the dawn of civilization. 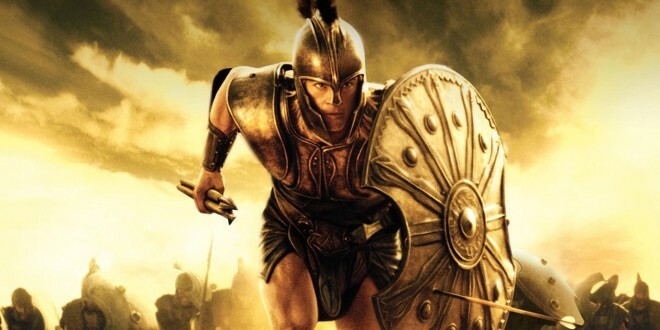 With that, I have gather my favorite battle clips from movies based on antiquity. It is no coincidence that these actors are Hollywood alpha males. They brilliantly portray these ancient warriors due to their embodiment of masculine, cunning characteristics. I felt like creating a fun, light post to contrast the in-depth posts I’ve recently written. Hope you enjoyed! Follow me on social media for constructive insights, opinions, self-improvement, and much more!